Illustration by Marie Hartley, ‘The Old Hand-Knitters of the Dales’, 1951. Proof that sometimes, carrying a bit of ballast is a Good Thing. 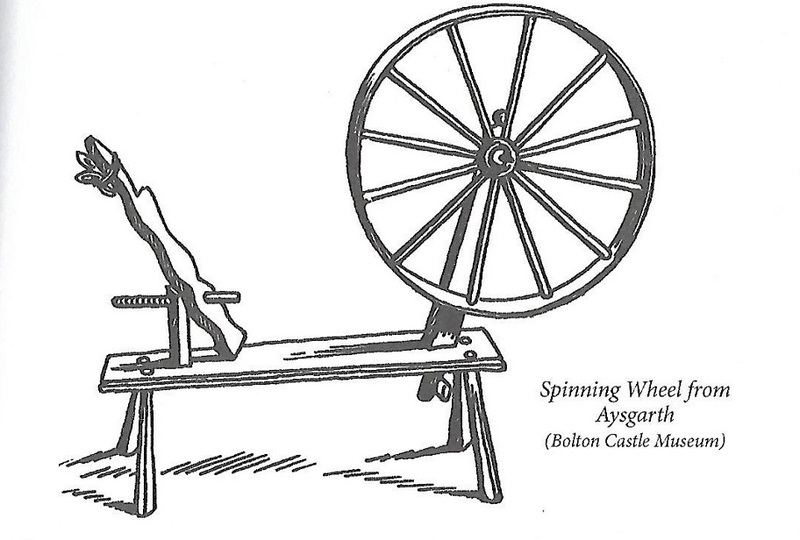 And also a timely reminder to oil and maintain your spinning wheel! 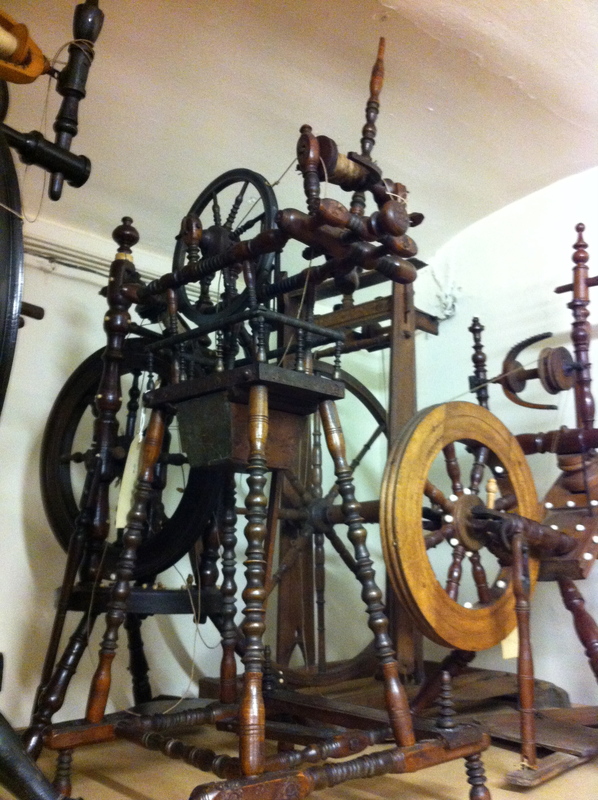 Spinning wheels in storage at the Bankfield Museum, Halifax. Photo Credit: Caro Heyworth.